With over 5,700 songs to choose from and music updated every month, you’ll be partying the night away with your favorite tunes playing through quality 300w speakers. 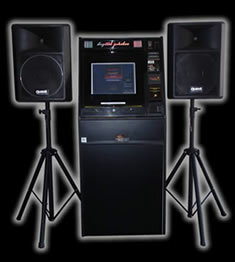 Jukebox and Karaoke hire from $200 and with free delivery to local areas, we’ve got your party music sorted! Need more party equipment? We also have party lighting, smoke machines, slushy machines and karaoke machines for hire. 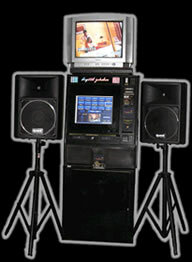 BIG RANGE - Quality Touchscreen Digital Jukeboxes, playing karaoke and video music. We DO NOT hire out "home-made" equipment! LATEST MUSIC & GREAT SOUND - Including your favourite karaoke music, plus all the classics. We update our music every month. Great sound with powered commercial 300watt Quest speakers. FREE DELIVERY - We deliver, setup and pick up our hire equipment for FREE within 20kms of Mornington. Delivery to Melbourne Metro is available however maybe subject to a delivery fee. Call us on 0418 108 057 to check whether you are within our delivery area. RELIABLE & QUALITY SERVICE - With 25 years in this industry we have to be doing something right! We are reliable with our deliveries and offer expert and friendly service. REPUTATION - Many venues and businesses across Melbourne have been using Dial A Jukebox for 25 years! Great music on your iPod? Just need BIG sound and a party atmosphere? Hire our IPOD SPECIAL which includes 2 x 300 watt powered/amplified speakers, two speaker stands, iPod lead and an effect light for only $190. With FREE DELIVERY to local areas. Choose any 4 lighting items regardless of their price, add these to our lighting stand ... and you will receive your lighting stand FREE of charge! This package is a bargain at only $120 (you can save as much as $80 on this deal). 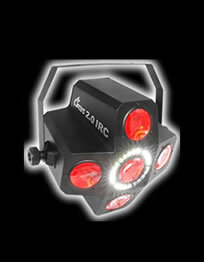 We have effect lights like the Helious, Polaris, Helicopter and Z Beam, as well as Smoke Machines, Fairy Lights, and Disco Lights. Choose from a modern touchscreen digital jukebox to a classic style CD jukebox. Easy to use, all come with a huge range of music and quality 300w speakers. Get a jukebox AND a Karaoke machine in one! We have everything you need for a night of party tunes and karaoke - flat screen TV, over 7,000 songs, microphones and quality speakers. Create a real atmosphere to any party with party lighting including mirror balls, strobe lights, disco lightening and more. Packages available. *Condition apply, contact us for more info. 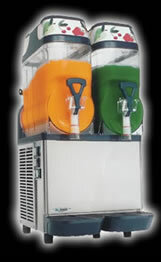 Stand out from the crowd and make your party one to remember with your very own slushy machine. Great for kids parties or combine with alcohol for fun cocktail slushies for adults. Our Jukeboxes are updated monthly so there is sure to be music for everyone at your next party!! We have 50's, 60's, 70's, 80's, 90's, Rock n Roll, Hip Hop, Rock, R n B, Dance, Country, Pop, Easy, Reggae, Rap, Jazz/Blues, Alternative, Disco and current music from the top 40 charts! If you are looking to have a few special songs of your own on the night, please enquire about our additional IPOD LEAD hire!!! We look forward to making your night ONE TO REMEMBER! !